I was trying to find an image of a giraffe and found these lovely guys! The giraffe beetle, or weevil. It comes from madagascar, and the males have the long neck. I'm just constantly amused by the oddballs of nature I see for the first time. A small group of strays started hanging around my bf's house in the past few months. One of them appeared to be pregnant, and in the past few days it looks like she's given birth but we haven't been able to find the kittens anywhere. However, this morning, she was lying on the porch and an adult cat was nursing from her, wtf? He was kneading her belly and everything. Very bizzare because he appears to be larger than her even. Has anyone ever heard of or seen adult cats nursing from other cats? D: I've never seen any animal do that, period. 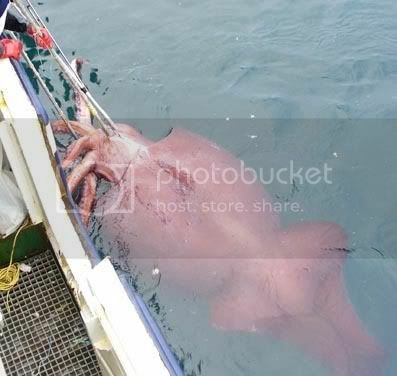 Last year a bunch of fishermen caught a giant squid corpse by accident, and the 1,089 pound body was put in a freezer. 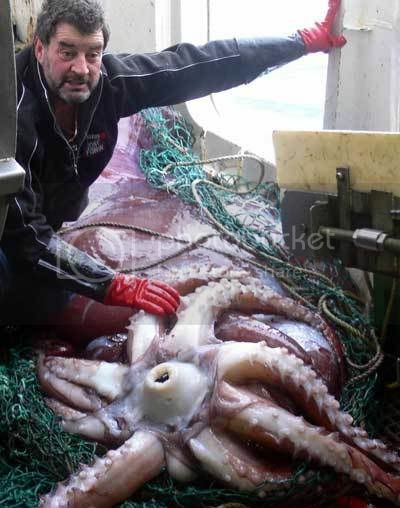 Apparently on Monday they began thawing it out, and will begin dissecting it on Wednesday. The dissection is being brodcast live, and it's already started because it's Wednesday in New Zealand. and at the bottom there is a link to watch the dissection. I watched some of it, THAT THING IS HUGE!!!! !